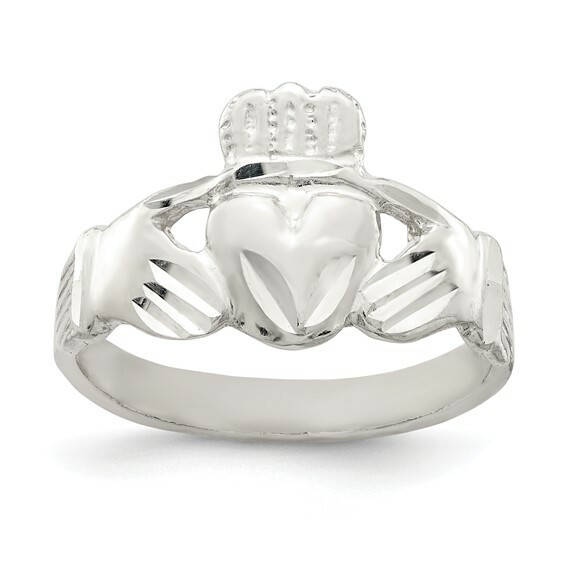 Sterling Silver Claddagh Ring has a polished finish. Available in whole sizes only. Weight: 3.5 grams.